his charming garden just made my car stop to photograph it. It is located in North Carolina—again. I never get enough of this place. This entry garden is so well done. The structure is four triangular corners with an open middle. Lots of boxwood, hydrangeas and stone edging form the base—completed by a mix of perennials and annuals. I love the rustic plant stakes that are also triangular in shape. 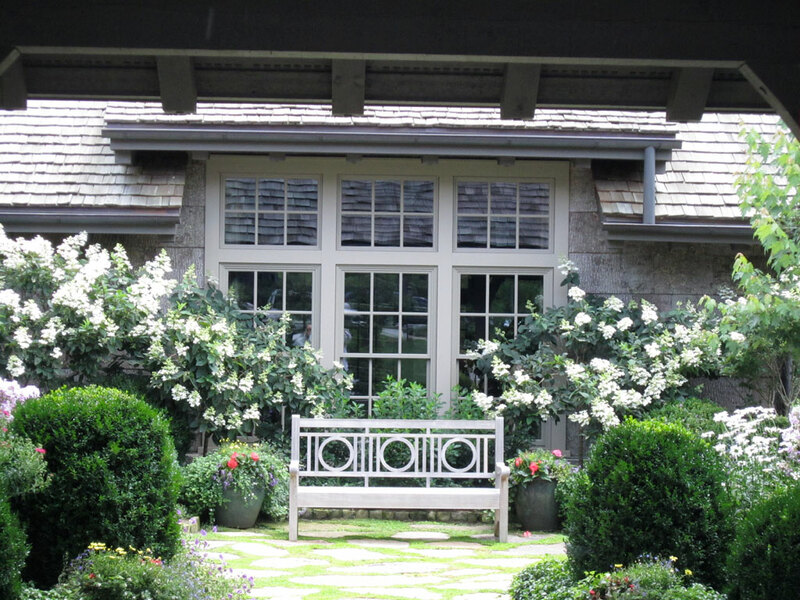 Entry into the Garden—Bench, Hydrangeas, Boxwood—the Best! View from the center–stone pavers with creeping filler. SO GORGEOUS! Rustic Plant Supports repeat the Triangle—So need these!